This scent couldn’t have been delivered at a better time – my perfume collection is running low and as the colder months come, the fruitier, summery scents just won’t suit anymore. The bottle itself is sleek and smart, the dark colour is suited to the time of year and the heavier, darker scent, and the rose gold lid is a nice touch. What woman can resist a bit of rose gold? Not me, anyway! I also like how it seems modern and ‘grown-up’. I find often celebrity perfumes can sometimes look a bit cheap and targetted at the younger audience. Peony Noir, however, has a more mature and sleek feel about it. In terms of the scent, it’s certainly suited to Autumn/Winter. 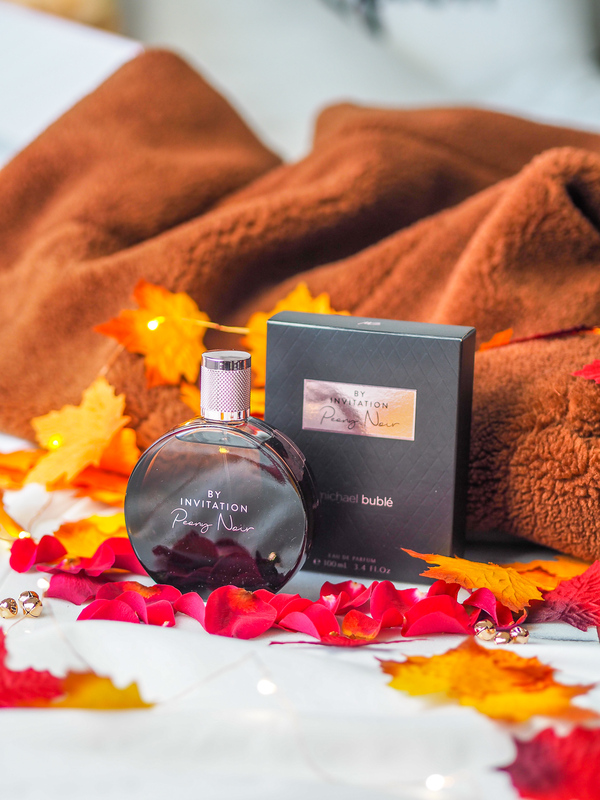 I tend to steer away from the fruitier, floral scents as the nights draw shorter and there’s a chill in the air – this perfume matches this perfectly. This has a warm, romantic feel with the sandalwood showing through. It still holds floral notes through the rose and orange blossom, but these are heavier and not as fresh as you’d expect in a summer fragrance. I’ve been wearing this for work for the past two weeks and the lasting power seems brilliant. Considering it’s not a high-end perfume as such, this tends to last at least 6 hours and does me well for my working day. I’ve really fallen in love with it and find myself choosing it over my Olympea and Marc Jacobs Daisy scents at the moment! 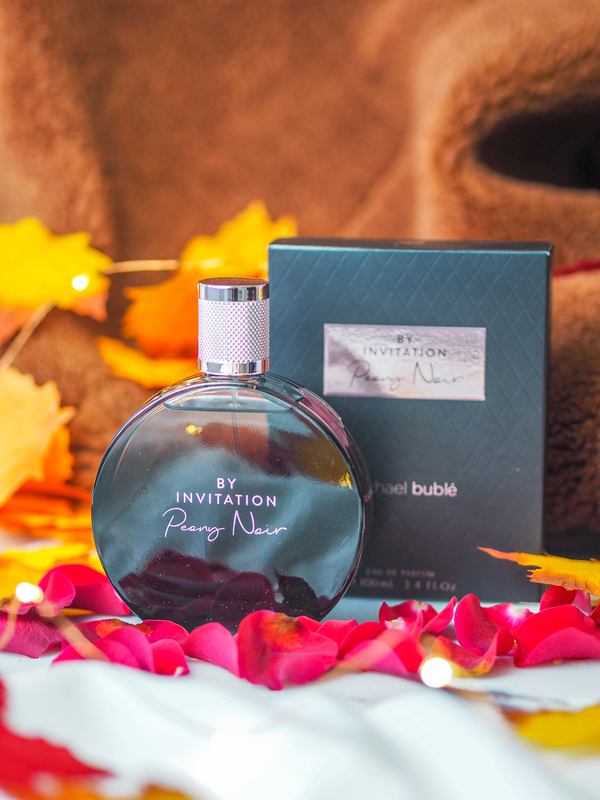 If you fancy getting yourself your own By Invitation Peony Noir, you can do here for £42.